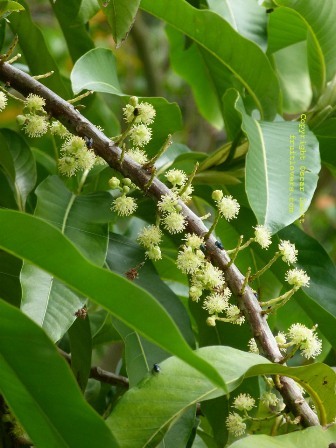 Engkala is believed to have originated in the Philippines though some botanists are of the opinion that it is a naïve of Borneo. It grows wild in forests there in low and medium altitudes. Besides Philippines, engkala is cultivated in the mountain region of Java in Indonesia. 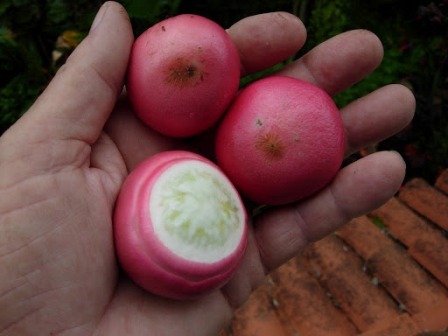 This fruit is also grown to a smaller extent in Peninsular Malaysia. A medium to large tree attaining a height from 10-20 m, and a trunk diameter of 40-50 cm. Leaves ovate-oblong-lanceolate, 12-50 cm long, 15-15 cm broad. Fruit a depressed-globose berry, 2.5-4.5 cm in diameter, pink to purple, edible having an excellent delicate avocado like flavour. The fruits are eaten. They taste some what like avocado. The fruit can be used in the same way as the avocado The fruits are also steamed with rice. A stearic oil extracted from the seeds. 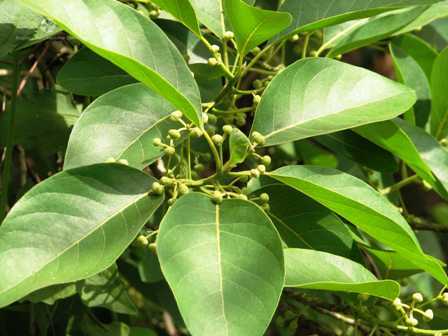 This oil was commonly used during earlier days for making soaps and candles. Engkala is propagated by seed. 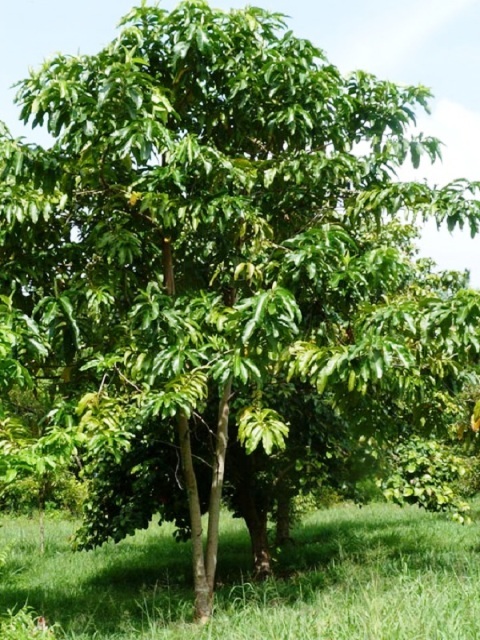 It does not require and specialized cultivation technique and is planted and maintained like other tropical trees. 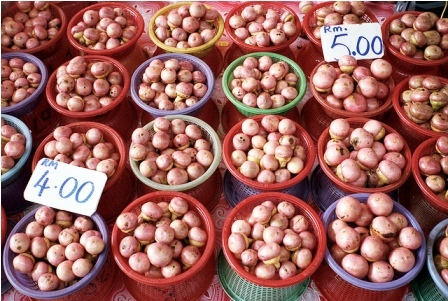 Engkala fruits are little known outside Indonesia and Philippines. These avocado flavoured fruits are invariably liked by people who happen to eat them for the first time. Engkala, therefore, deserves to be tried outside South East Asia.